If there is anything finer for a landscape photographer than being alone on the summit of a mountain on a glorious winter morning, I would suggest that they have never experienced it for themselves. I am rather ashamed to tell you that I was up there yelling my head off with the sheer exuberant pleasure of being there. 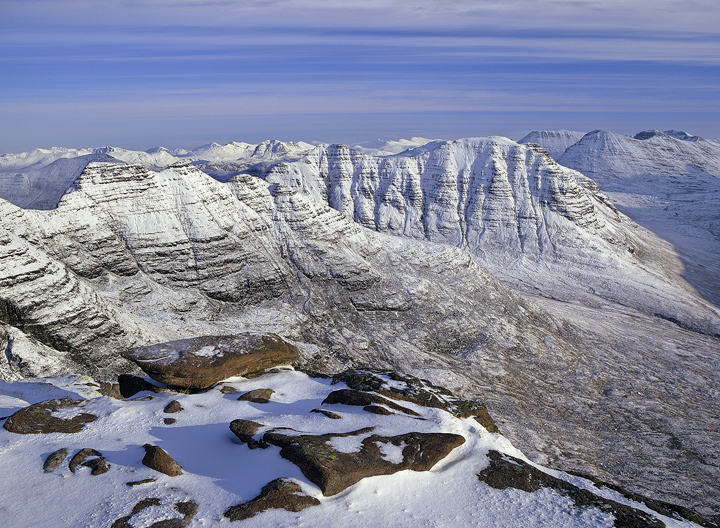 I took this from the summit of Tom Na Gruigach gazing across the Horns of Alligin and other snow clad Torridonian giants. It is without a doubt the finest scene I have ever had the pleasure and honour of photographing.